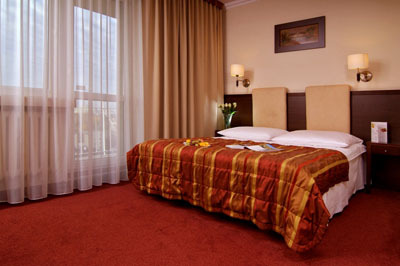 The Warsaw based Felix Hotel is situated in the very centre of Praga Poludnie district. Conveniently located, it provides quick connection with the city centre via Lazienkowska Route. 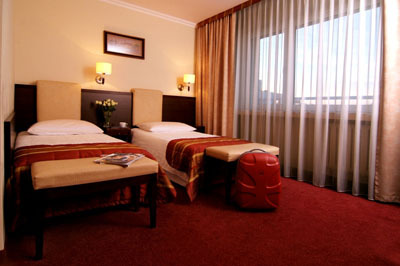 The hotel offers 533 beds in 234 single, double, triple rooms and suites. All guest rooms come with telephone and cable TV. There are rooms tailored to the special needs of disabled guests, who are provided with wheel chair to enable easy access to all hotel rooms, the reception desk and the restaurant. For smoking guests there are 23 rooms, the whole floor. All the other rooms are non smoking. Our guests are offered a wide choice of additional services: hotel restaurant, 4 fully equipped conference rooms, pub open 24 hours daily (in the summer time also a garden pub, patio cafe), fitness club, hairdresser, microbus rental. The fence enclosed parking area has 100 parking spaces for vehicles and 6 for buses. There is a taxi rank in the vicinity of the hotel. Guests will be delighted by the traditional Polish cuisine served in the hotel restaurant which is also an excellent place for various events and social get-togethers. From the very first contact with you to the last moment of your stay, you shall be taken care of by experienced, professional and amiable personnel always ready to respond to your needs for your absolute satisfaction. 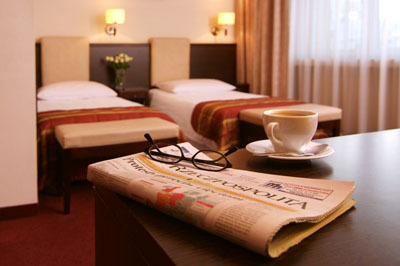 The Warsaw based Felix Hotel is situated in the very centre of Praga Poludnie district. 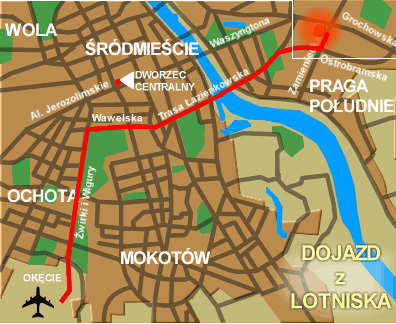 Conveniently located, it provides quick connection with the city centre via Lazienkowska Route. 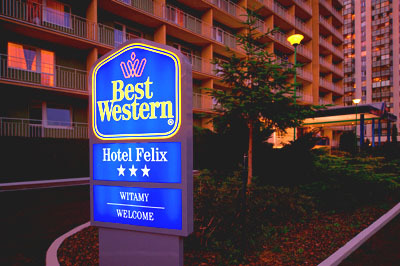 Felix Hotel has prepared 228 rooms for the guests, including single rooms with king-size beds (standard type or lux), doubles (standard or lux), triples and studios. The standard rooms are rather not big, with one or two single beds and a king-size bed (when it comes to single rooms - only the king-size bed). Standard rooms are furnished modestly, but neatly and esthetically. Bright-colored furniture makes you relax. There is a TV-set, radio and a telephone in the standard room. Lux type rooms are a little bigger and arranged more elegantly. The furniture is darker than in standard rooms. 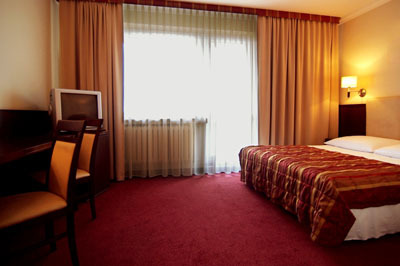 21' TV-set, radio, telephone and fast Internet connection make the stay in such a room a pleasant experience. Studios are bigger and consist of two separate rooms. Standard studio rooms are furnished similarly to standard rooms, with bright furniture, TV-set, radio and telephone. It is the same case with lux studios. Dark furniture, bigger TV and fast Internet connection make the lux studio of a higher quality. 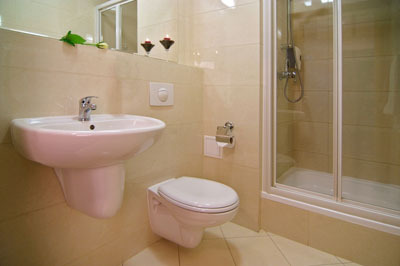 All the rooms in Felix Hotel are equipped with bathrooms with shower cabins. Unfortunately there are no separate floors prepared for non-smokers and the rooms have no air-conditioning, on the other hand nearly every room in the hotel has a balcony, where you can rest during a warm day. Felix Hotel is very proud of its restaurant. Newly renovated interiors look very attractive. The tables separated by little walls make it possible to have some privacy, while having your meal and to stay among other people at the same time. The evenings in the Felix restaurant are also very enjoyable. You can enjoy your supper listening to the music (live sometimes!). Although the menu consists of Polish and international dishes, a fan of Mediterranean cuisine will be also satisfied. After having eaten the chicken soup with coriander and lentil I suggest having chicken breast stuffed with spinach and feta cheese served with grilled potatoes and vegetables, and for a dessert: ice-cream in three sauces and mint. 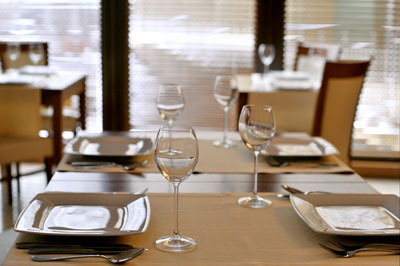 The choice in the menu is not very rich, however the dishes prepared are very tasty and what's more - not very expensive. The prices in the Felix restaurant are similar to those in average Warsaw restaurants. There is a bar nearby the restaurant, with a wide range of alcohols. 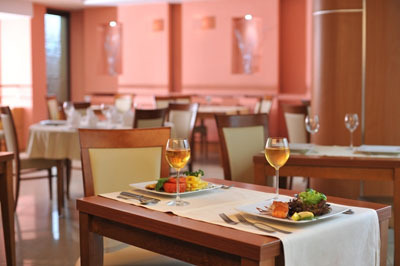 The Felix restaurant prepares special promotional menus that let you have a delicious meal for less than a bargain. 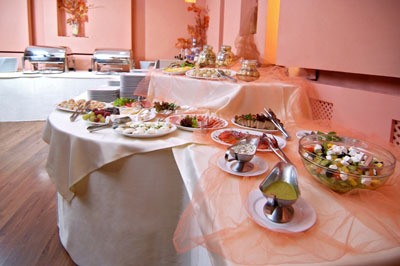 Apart from that, on a request the hotel organizes occasional parties and company meetings. 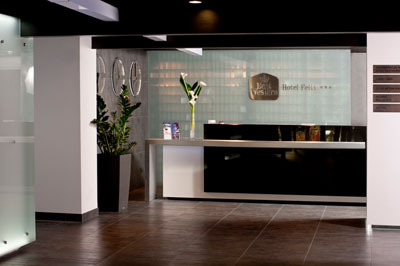 The Felix Hotel has three conference rooms in various sizes and two meeting rooms prepared for up to eight and up to ten people. The biggest conference room is prepared for up to 150 people (theatre style). 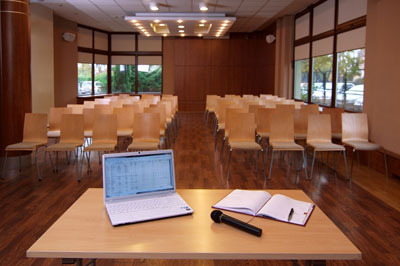 The conference rooms are equipped with air-conditioning, wireless Internet connection, loudspeakers system, TV + VIDEO, overhead projectors, slide projector, screen, flip chart, multi-media projector (extra charged). There is a possibility of booking the room without equipment - the price is lower in that case. The conference rooms are modestly, but neatly arranged and furnished. 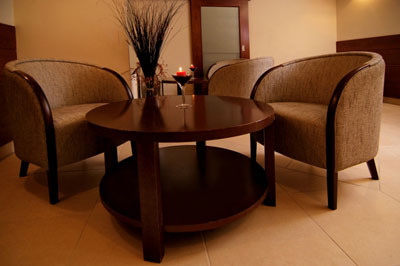 Clean and well-kept furniture and suitable equipment and lights will satisfy any organizer of a business meeting.